People make mistakes. Sometimes these mistakes include a person, who is otherwise responsible in their daily life, getting behind the wheel of a car after having had too much to drink or while under the influence of drugs. This one time mistake can result in your being arrested, your license being taken away, and your receiving a criminal record. If you find yourself charged then it is important that you retain representation. I am a Peoria first time DUI attorney who handles Illinois cases which result in misdemeanor charges. If you need to speak with an attorney then contact my office today. One is considered to be “driving under the influence” when they operate a motor vehicle with a blood alcohol level (BAC) of greater than .08 percent. First offenses will be charged as a Class “A” misdemeanor which carries a sentence of five days to one year in jail and a fine of up to $2,500. Additional penalties will be imposed if children were in the car. A second conviction will include additional penalties and a third offense will be considered an “aggravated” DUI felony. There will also be a mandatory one year suspension of the defendant’s driver’s license. Misdemeanor DUI cases will begin with an arraignment. If a resolution cannot be reached then a trial date will be set. After a “not guilty” plea is entered your attorney will receive evidence such as police reports, toxicology reports, and any other items the prosecution is required to provide. If the police officer stopped your car without probable cause to do so then it may be possible to have the case dismissed due to violations of your Fourth Amendment rights. Also, if police mishandled evidence, failed to properly calibrate their testing equipment, or made other technical errors then it may be possible to have evidence ruled inadmissible by the Judge. Such a ruling would often have the effect of dismissing your case. Properly defending a DUI, and gaining you the best result possible, is more complicated than many people realize. It is strongly suggested that you contact qualified counsel. I am a Peoria misdemeanor DUI lawyer handling first time offenses. I will use your initial consultation to make sure that you know what to expect from the process. If a resolution cannot be reached then, if feasible, I will file requests to have the case dismissed due to an unlawful search and seizure. I will also make all available challenges to other evidence and will work throughout the case to bring you the best result possible. I am a former prosecutor with over twenty years of legal experience. I am familiar with our local court system and will protect your rights from beginning to end. If you need to speak with an attorney then contact my office today. 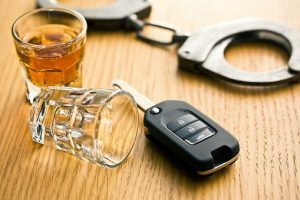 If you have received a first-time DUI then you are likely worried. The legal system can be intimidating for those who have never been exposed to it. I strive to provide quality service so that you can focus on your future. I will regularly return your phone calls, quickly respond to your emails, and I often provides clients with my cell phone number. As an attorney, I understand that you are facing a stressful situation and I am here to help.